Call for Speakers is currently unavailable. Please check back soon to apply. 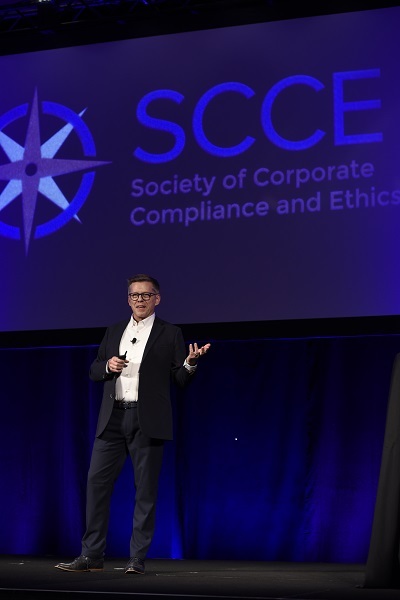 SCCE invites ethics and corporate compliance professionals and service providers to serve as conference speakers, session facilitators, and presenters. Opportunities include four-day national conferences and 90-minute webinars. To Apply to speak , you will need to login to your SCCE account or create a free account. Select your Track (whichever track you feel your presentation falls into; most conferences will only have one option). Type in your Presentation Title. Select yourself as a speaker (or search for someone else). Search for your co-presenter (if you have one). Make sure everyone speaking has a bio and a headshot. List your bullet points/main topics out for the presentation (remember only 225 characters). Select Next. Confirm you have read the Reimbursement Form. Then hit Submit.